Founding members who will be greatly missed. It was in mediation that Paul Randolph found his true role in life and his untimely death on 8th January 2019 leaves a huge void in the mediation world. Paul practised successfully at the Bar from 1971, eventually specialising in professional negligence. His professional life, however, was transformed when in 1999 he qualified as a mediator with CEDR. Perceiving the important role that psychology plays in the dispute resolution process he proceeded rapidly to establish a ground-breaking mediation course at the School of Psychology and Counselling at Regents College (Now Regents University) together with Dr. Freddie Strasser, Paul’s uncle and a leading psychotherapist. In 2004 he published, along with Freddie Strasser Mediation: A Psychological Insight into Conflict Resolution and in he published The Psychology of Conflict:Mediating in a Diverse World. 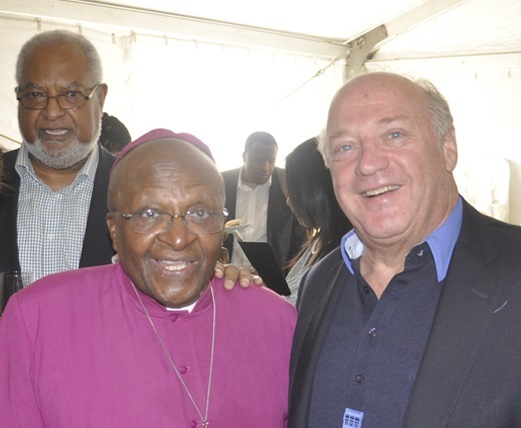 It is a mark of the esteem in which Paul’s work was held that Lord Slynn of Hadley contributed the foreword to the first book and Archbishop Desmond Tutu wrote the foreword to the second. For the last 20 years Paul’s professional life has been dedicated to the practice, teaching and promotion of mediation both in the UK and around the globe. He was for many years an elected member of the Board of the Civil Mediation Council and Chair of their Academic Committee. He was a member of the Bar Council ADR Panel and was also a founder member and Adviser to the Trustees of the Slynn Foundation. He played a pivotal role in the development of mediation in Eastern Europe, the Baltic States and the Balkans with long standing ties to mediation associations in Romania, Albania and Croatia. He also travelled much more widely teaching and spreading the word of mediation, with working trips in recent years as far afield as Brazil, Singapore, India, Russia, China and Kazakhstan. He was seemingly immune from jet-lag. Paul particularly relished these foreign trips as they allowed him to pursue some of his interests outside of mediation. He loved assimilating different cultures and was an accomplished linguist, although admitting defeat with Albanian. He was a great gastronome and would enthusiastically seek out local culinary delights in his travels, betraying his Englishness only at breakfast when only egg and bacon would do. He had a lifelong love of music and was an talented pianist with a Steinway Grand Piano taking pride of place in his living room. He frequently held concerts at home featuring talented young musicians. One round-number birthday his wife Karen organised for him the opportunity to conduct a professional orchestra. It was a very challenging but deeply satisfying experience and the fulfilment of a lifelong dream. Those who only got to know Paul more recently may be surprised to learn that he was an excellent tennis player. For 18 years he was Chairman of the Thames Ditton Lawn Tennis Club and combined tennis and legal prowess when in 2005 he won a landmark legal case in the Court of Appeal preventing developers from using the Club grounds to build 10 luxury flats. Above all, Paul was a devoted family man. He could not have been prouder of, or more delighted by his wife Karen, a local councillor and staunch supporter of his mediation work. She was the power behind the throne. He was also enormously proud of his children, Daniel, a senior manager at Deloittes and his Daughter Hannah, a Practice Manager at St James’s Place. He took particular pleasure in the fact that both Karen and Hannah are qualified mediators and that Hannah is editor of the UK Mediation Journal. Most recently Paul’s seemingly boundless energy was devoted to the Tutu Foundation UK. He was an adviser to the Trustees, founded and chaired their Mediation Service and was a driving force in establishing the Annual Tutu Peace Summit in London. It was shortly after steering the 2018 Summit to a successful conclusion that Paul fell ill suffering from an aggressive cancer. He had been invited to attend Desmond Tutu’s 87th birthday celebrations in October and desperately wanted to go. Medical opinion was that he would be too ill to make the trip, but with typical determination he rallied sufficiently to get the all-clear and was able to travel to Cape town with his family. When Paul was there, he was transformed and he became the old Paul again. It was a wonderful occasion for everybody attending. Sadly, this remission was of short duration and on his return a decline set in and he passed away peacefully at home on the late afternoon of January 8th surrounded by his family. Until the very end he continued working tirelessly for his various projects with the Tutu Foundation.